THERE WAS A TIME not so long ago in Pacific Northwest history when one large corporation – the Rainier Brewing Company – fairly dominated a major portion of this region’s commerce and culture. That suds-producing firm, based just west and below Seattle’s Beacon Hill neighborhood on today’s Airport Way S., has a rich history (1893-1999) [which I explored earlier in this essay: http://www.historylink.org/index.cfm?DisplayPage=output.cfm&file_id=9130 ]. But along with brewing this town’s most famous beer, Rainier also made its impact in many other ways. Including, as the sponsor of the town’s beloved Seattle Rainiers baseball team and the annual Rainier Cup hydroplane races, and also as one of the region’s top buyers of advertising – first in newspapers and later on radio and television. In the 1950s the company even supported KIRO radio’s Rainier Ranch show, and later, KING-TV’s Rainier Ranch TV program which spotlighted local Country/Western musical stars of the day such as Texas Jim Lewis, and Jack Rivers. Along the way many different ad campaigns were concocted to promote Rainier Beer. The most famous being the 1970’s popular “Running of the Wild Rainiers” TV commercials. But even back in the heyday of radio, Rainier was already commissioning the writing of original jingles for airplay. An early one was a tune penned around 1952 by the noted New York composer Phil Davis. 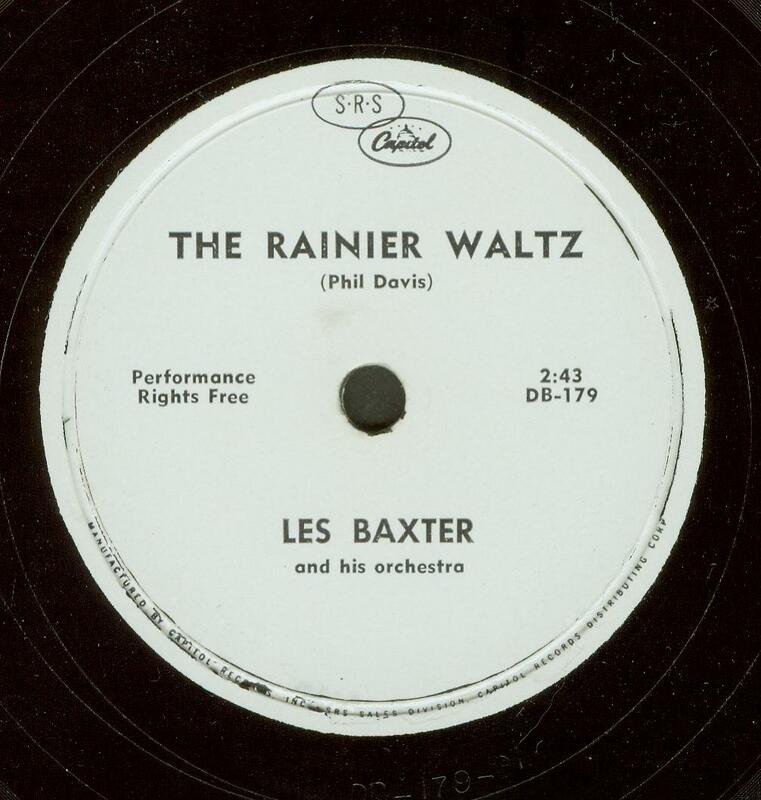 His instructions were to write a waltz that would be evocative of “the light, sparkling ‘character’ of [the] brewery’s product.” Written and then recorded, it was reported that: “Listener reaction was immediate. Disc jockeys found themselves receiving requests for––a commercial!” It was then that Rainier’s advertising agency – Seattle’s Miller & Company, Inc. – convinced Rainier to go all out and have the song revamped in long-form and re-cut in Hollywood by the popular Les Baxter and his Orchestra. 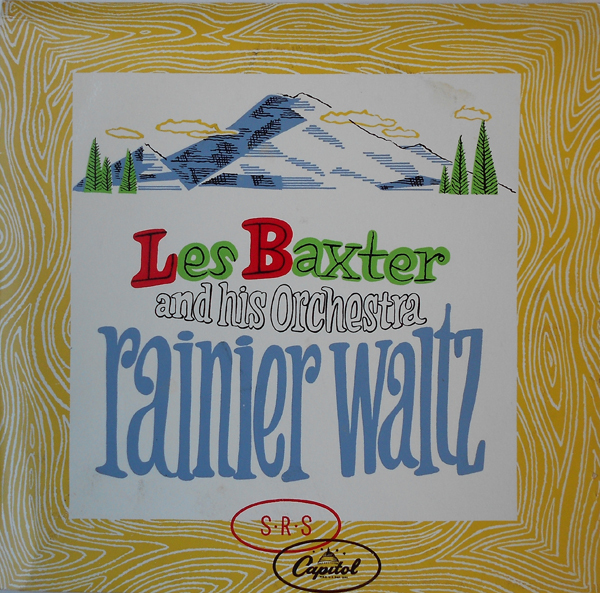 Baxter, who is best remembered by today's hipsters for his series of easy-listening / exotica / lounge music theme albums – then took his 26-piece ensemble into Hollywood’s state-of-the-art Capitol Studios and recorded what was soon released as a promotional ten-inch 78rpm vinyl record. 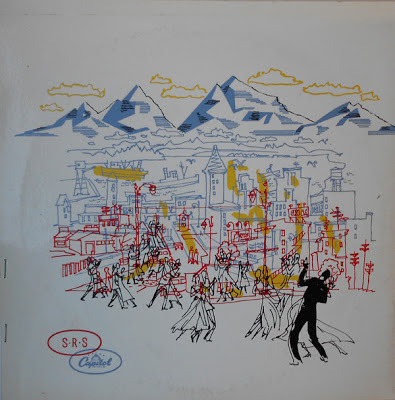 It was then issued on the Capitol / SRS imprint – the record company’s special custom imprint produced by its “Studio & Recording Services” division (which was apart from the label’s own growing catalog of pop and country discs, and which specifically catered to outside enterprises that wanted to cut high-quality recordings for their own purposes). Hence this white-label promotional disc, which is rather rare on its own (I’ve seen about three copies in 40+ years of collecting Northwest-related records). But, this recent find came replete with the very first, as far as I know, original gatefold jacket to ever be unearthed – and it features graphics depicting Mount Rainier and Seattle’s skyline with Harbor Island, King Street Station, Smith Tower, the Cascade Range and other notable landmarks. And, logically enough, it came straight out of a elderly longtime Rainer Brewing Co. employee’s estate. Cheers!